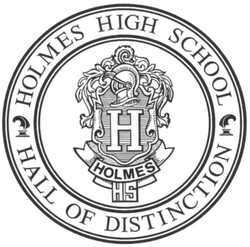 A bomber pilot, a doctor, a philanthropist, a lawyer and a public relations expert will be inducted into the Holmes High School Hall of Honors this year. The Hall was established in 2000 to honor distinguished graduates and/or friends of Covington Schools for their achievements and contributions to society. The winners will be recognized during the Hall of Honors event at 6 p.m., June 14, at the Drees Pavilion. In the days leading up to the event, the Tribune will recognize each of the Covington Education Hall of Honors winners with a profile of accomplishments and contributions. Brent Cooper, is a busy man who plays leading roles in organizations that extend far beyond C-Forward Information Technologies, the managed service provider that he founded in 1999 and which now has offices in downtown Covington and in Lexington. Over the years, Cooper has established himself as a friend of the Covington schools and a friend of education in a number of ways. He chairs the education and workforce committee for the Kentucky Chamber of Commerce, serves on the boards of the Northern Kentucky Education Council, the Northern Kentucky University Foundation Board, the Strive Partnership of Cincinnati and Northern Kentucky and is a former board member of Gateway Community and Technical College. 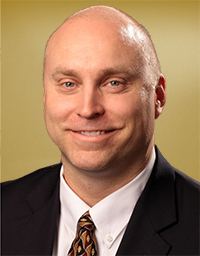 Late in May, Cooper agreed to serve as the interim president of the Northern Kentucky Chamber of Commerce after Trey Grayson announced that he was stepping down as president and CEO to pursue other interests. Cooper had played a similar role three years ago when Grayson’s predecessor, Steve Stevens, had resigned to take another job. Cooper, a University of Kentucky graduate who lives in Ft. Thomas with his wife Lisa and their two daughters, also serves on the boards of the Baptist Health Board and the Northern Kentucky Convention Center.